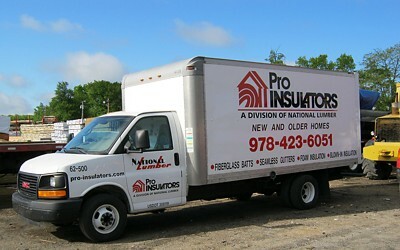 Pro Insulators installs aluminum seamless gutters. Seamless gutters (also known as continuous rain gutters) are nationally recognized as the most popular form of gutters installed. In fact, 75% of all gutters installed throughout the nation are seamless gutters. The main advantage of seamless gutters is that since they have no seams, they won't leak. 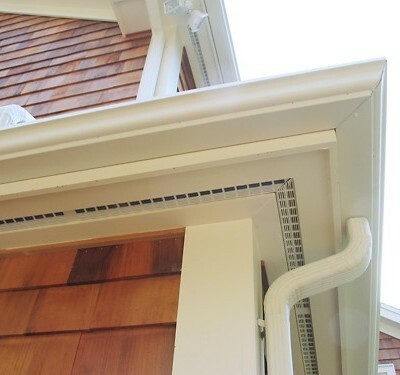 The gutter sections join only at the inside and outside corners and at downspout outlets. Just as you have traditionally subcontracted work to a trusted plumber as part of your team, you can hire the seamless gutter installers of Pro Insulators, a division of National Lumber. Having the right specialists on your team can keep a project running smoothly as they apply their specialized experience to your building project.